Banne Nawab's Paneer Butter Masala has a ready to cook spice mix - 15 minutes magic for you. No Preservatives! 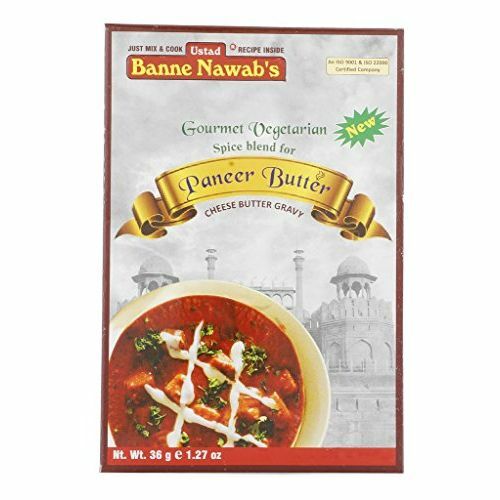 This magic paneer butter masala is ready to cook spice mix usually comes in individual package. It requires very little preparation and contains all the elements for a single-serving meal. Just add cottage cheese and tomatoes in your recipe and your exotic meal will be ready to eat.